NWI said in "Patch 1.1.4 Released"
So any chance you might consider this as an area/feature that your team should focus on? @zwenkwiel While yes this is true, most game engines force the top of the map to be north by default but Ins: Sandstorm doesn't follow this and from what I can tell, the way up the minimap is shown must be down to the mapper as while the right side of the map is North on some maps (like Farmhouse), some others have the left side of the map is north and so on. As such it shouldn't be that hard to either change the way up the minimap is shown, or at the very least change the compass so North is up on the way the minimap is shown now. If there is a reason why it can't be changed it would be nice to hear what that reason is from NWI at the very least. But to be honest, i never look at the minimap when somebody makes a call out for enemy contact. Just have a look on the marker on your compass and you know where the threat is. 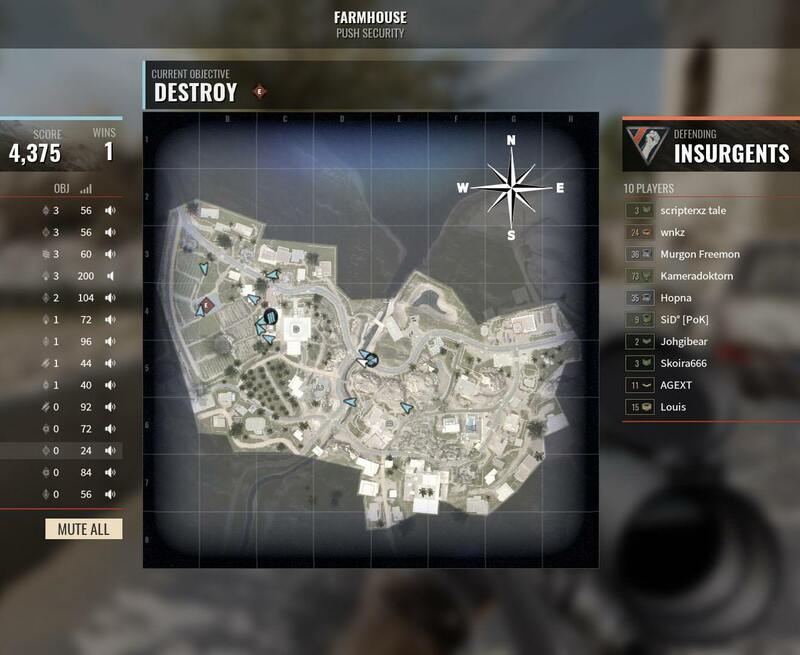 The call outs for enemy contact mostly refer to close and mid-ranges and therefore don´t need a look into the minimap. so that i had to look on the minimap where this location might be. For me the minimap is absolutely unnecessary in Sandstorm ! This is not ARMA3 where you have to navigate through a very large area to reach your attack point. just talking over the ingame voice comms with random pubbies to spot and receive target locations. Many of my friends have even given up with the compass as a result of this and just say "let's flank far left", even thou in other games they always use compass directions, since even thou there is a chance of confusion from that, it is still far easier and quicker, and tbh less chance of confusion, than everyone trying to work out the compass directions they are on about if they use one. So ye while many players may never use the map or compass to spot and identify target locations or w/e, I still feel they would benefit from the map being the right way up for the few times they may look and it and especially if they only very occasionally need to find a compass point from it, as without knowing the map is the wrong way up and slowly learning which way up each map is, putting avg players at even more of a disadvantage than competitive players who will learn each map's compass directions over time off by heart. And while it may look odd to look at now we are used to the map being the wrong way up, here is how the map "Farmhouse" should look, where before it had West at the top and now it has North as it should be. Seriously this is my biggest gripe with this game and I can see no logical reason why the maps shouldn't be the correct way up ingame. Please up-vote and bump the topic if you agree as I have already made one topic on this subject in the past and it has gone even thou everyone appeared to agree with it, and this is the biggest thing I want to see changed in the game and I'm sure many others do too!